The RSS guidelines and Flipboard RED Bolt Program below are designed to deliver a high-quality, honest reading experience to our readers. Following the guidelines outlined in this document ensures that your content is delivered via Flipboard in a timely and accurate manner. These recommendations are based on open Internet standards and best-practices. Content that works well on Flipboard works well on the web in general. Follow the guidelines below to optimize the presentation of your content on Flipboard. For other publishing related questions, see our Publisher Q&A. Flipboard will use your website’s RSS feed to discover articles, and to generate article summaries. In general, any reasonable RSS feed will work well within Flipboard. However there are some best practices to ensure that your article summaries look good, and that the content you create is easily processed and analyzed by our content recommendation systems. Feed should be organized by date, with the most recent content at the top. Content that is more than 90 days old will not display on Flipboard. Do not reuse the same image for each of your articles, as we will only display that image for one article. The other articles will display no image. If Flipboard detects an AMP version of an article from your web html (via <link rel=”amphtml”>), we will display your AMP article on Flipboard as it generally results in a better user experience. Please make sure that all AMP pages referenced in your HTML are usable and complete. Some blogging platforms automatically generate AMP pages, so keep this in mind when reviewing your web Flipboard traffic statistics. Flipboard uses Amazon Web Services (AWS) servers, so please make sure that your web servers are not blocking the AWS IP range (more information here). If we detect that a feed has not updated with new content in 6 months, we may remove the feed from your magazine and our system. You will then need to resubmit an updated feed. Your website or feed domain might be blocking Flipboard in your robots.txt file. Make sure that your website and feed domain’s robots.txt allows the user-agents “Flipboard” or “FlipboardProxy” to crawl your content. More information can be found here. After you post content to your RSS feed, please wait at least 12 hours to see if an article appears in your Flipboard profile. Ensure that the RSS feeds in your magazines contain new content. If there is no new content in your RSS feed, there will be no new content in your Flipboard magazines. Flipboard magazines powered by RSS feeds are organized chronologically, with the most recent articles at the top. If you add older content to your RSS feed, it will be placed in your magazine in chronological order, so it may not appear on top. Flipboard will generally not accept articles with a publication date more than 90 days in the past. Make sure your feed content is up to date. A great feed with great examples. bearing resemblance to John Wilkes Booth. being caught dumping nuclear waste in the Springfield city park. Flipboard’s algorithm takes into consideration those articles with the RED Bolt, boosting those publishers who are delivering a better mobile web experience for their audiences. Load Time: The first page’s content must be completely visible within two seconds from first http request arrival, on a modern LTE network on recent Android and iOS phones. Page Elements: 100% of first visible page must not show ads on the first screen on a modern Android and iOS phone. Elements should also load in their final intended position on the page; they should not move to accommodate any other elements. Intrusive Ads: no popups, pop-unders, sticky windows or overlays. No redirects: The page that’s loaded is the content page that the user was expecting to get. Similarly, we do not allow captive redirects (back means back). Once a publisher is awarded the RED Bolt, we may continue to verify that the publisher is meeting the above requirements. 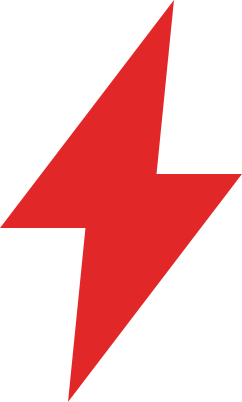 If you are not on Flipboard, sign up here for a Publisher Account and apply for the RED Bolt. RED Bolt designations will be rolling out over the coming months and fully implemented by the end of the year.